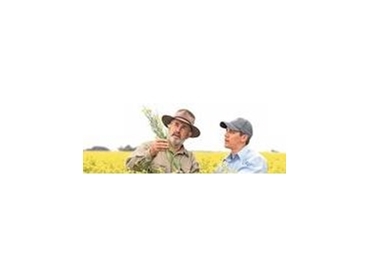 Kumiai Chemical Industry Co and Bayer CropScience recently sealed an agreement that will enable Australian farmers to enter a new era in weed management from 2011. The Japanese chemical R&D Company, Kumiai and their sister company, Ihara Chemical Industry Co., Ltd, have discovered and researched a pre-emergent cereal herbicide, Sakura, which can be seen as a breakthrough in weed management. It brings great advancement in the control of weeds such as herbicide resistant annual rye grass. Joerg Ellmanns, Managing Director for Bayer CropScience Australia, together with Heads of Marketing and Development, Holger Detje and Don Nicoll, was in Tokyo to meet with Kumiai, at the end of February, to sign an exclusive development and distribution agreement for Sakura and to re-energise their weed management efforts. Bayer CropScience has conducted trials of Sakura over a number of years in Australia and is expecting the product to be registered for launch in the Australian weed management market in 2011.